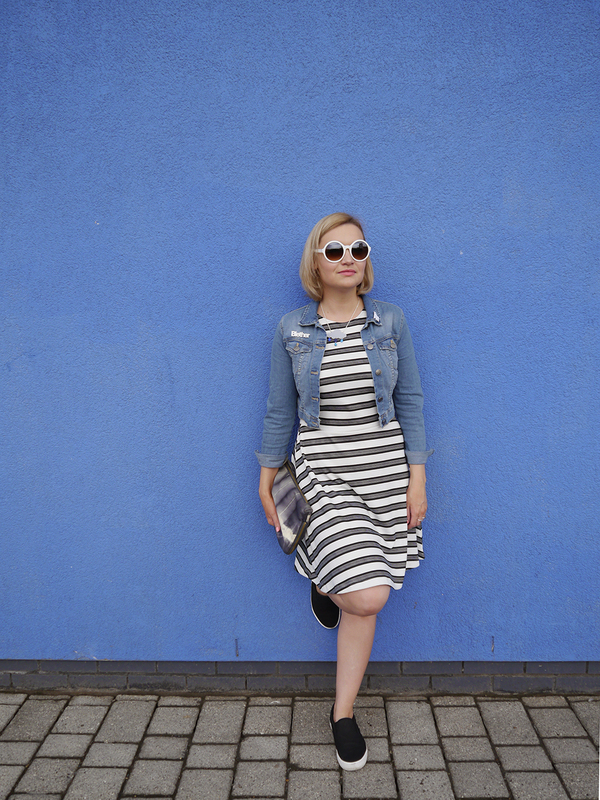 Get ready- I'm going to rave about fake tan! Yes, me. Last wearing a milk outfit. 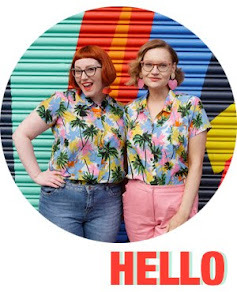 What do I know about fake tan?! I've always shied away from orange. I had a quick detour at that Johnsons gradual tan moisturiser in 2005 but quickly called time on the biscuity whiff and stuck to a real suntan instead. Yes, I do tan. I have tan lines, which reveal my true blue exterior. In the past I've used various mousses on those rare occasions when I wanted a top up but I didn't really like them. They were normally bought on a whim (read: cheap) but I wasn't sure that others were any better and they all just seemed so dark for my skin. 1.) No biscuit smell. This was my main concern, because I can't stand it. There was no real odour when applying, and the Rapid Mouuse was touch dry in 60 seconds as described. I did notice a very faint odour the next morning but Helen claims it's my imagination/ superhuman nose (I'm quite sensitive to smells but normally use this super sense for food snuffling purposes). 2.) There were no streaks, except where I stupidly left a large blob on my hand. (Did I mention I'm not used to doing this? Amateur hour.) 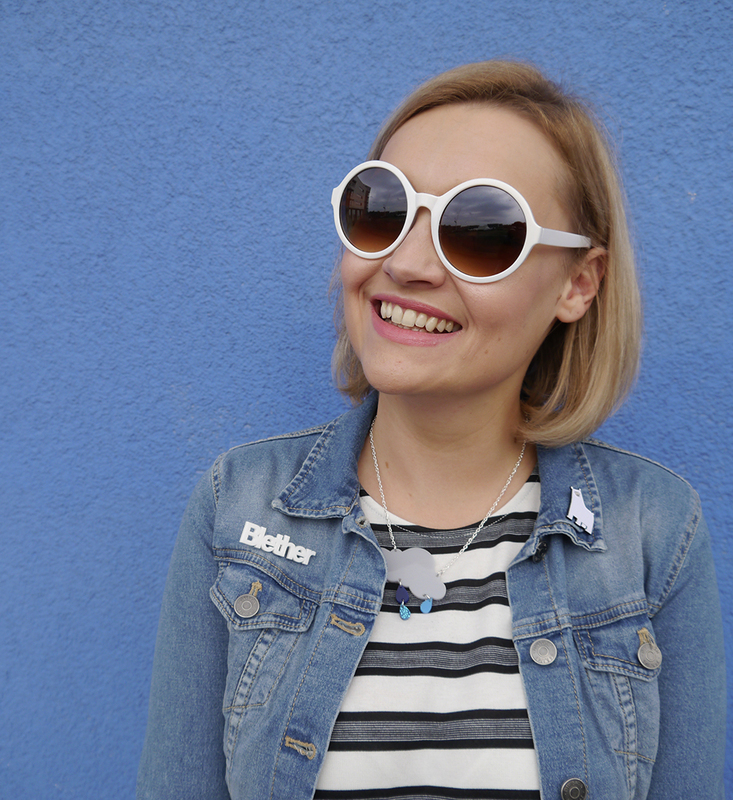 The formula didn't dry out my skin and the golden glow was pretty damn similar to my actual holiday skin. 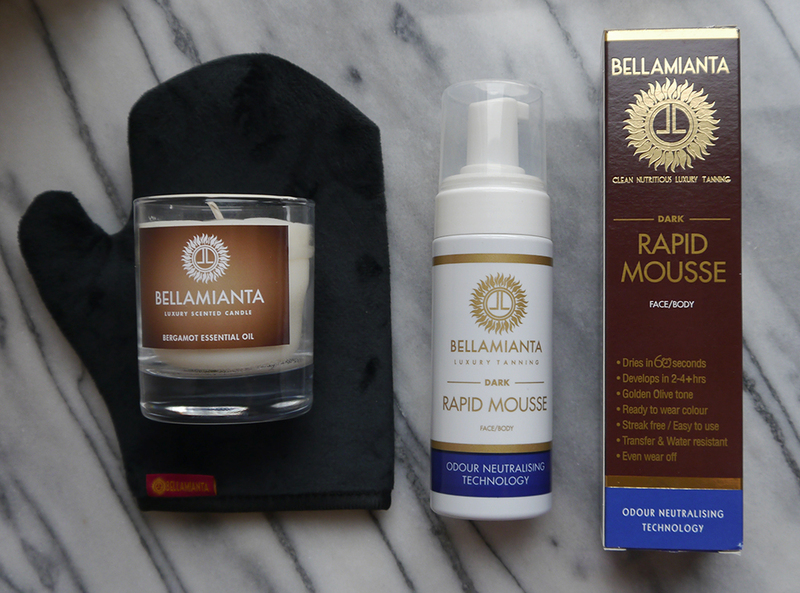 Bellamianta kindly sent us a luxury tanning mitt to help us get the most out of our tans and it was so velvety soft! I did however have an extra pair of hands to rub me down. Because I'm a princess. A lazy but streak-free princess. 3.) It works on body and face so I could skip foundation. I mean, I often skip foundation anyway but it didn't look like I'd skipped it. Bonus. I only left the formula on for the minimum time of 2 hours (because of a fear of being Tangoed) so it's very natural. Admittedly we had to google how to remove it, because it wasn't quite clear if you were to wash or just rinse. Rinse...? Seemed to do the trick. 4.) I was really impressed with how it lasted and wore off. 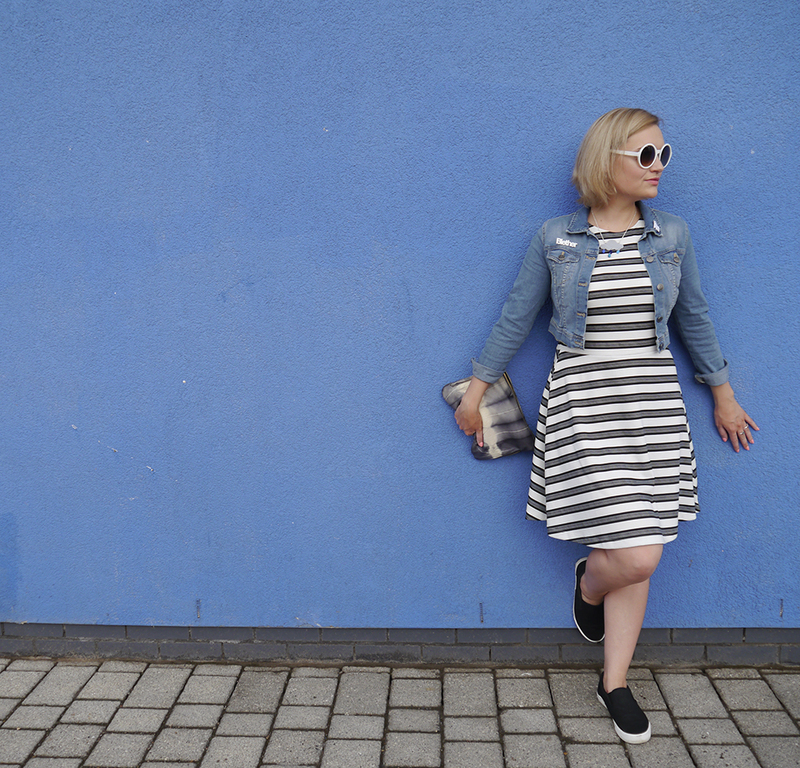 I had a strap line on my feet from the shoes I wore rubbing it (which weirdly made it look more realistic) but apart from that it faded in a nondescript way, like a normal suntan. 5.) Last but not least, these products are cruelty free. Ideal when we are all trying to be a bit more thoughtful about the products we buy. I was a bit concerned that the golden hue wouldn't be that visible on camera, because most people probably don't view this as particularly tanned but for me a tan isn't ever about the shade- it's that sun kissed glow and even skin tone that I enjoy. 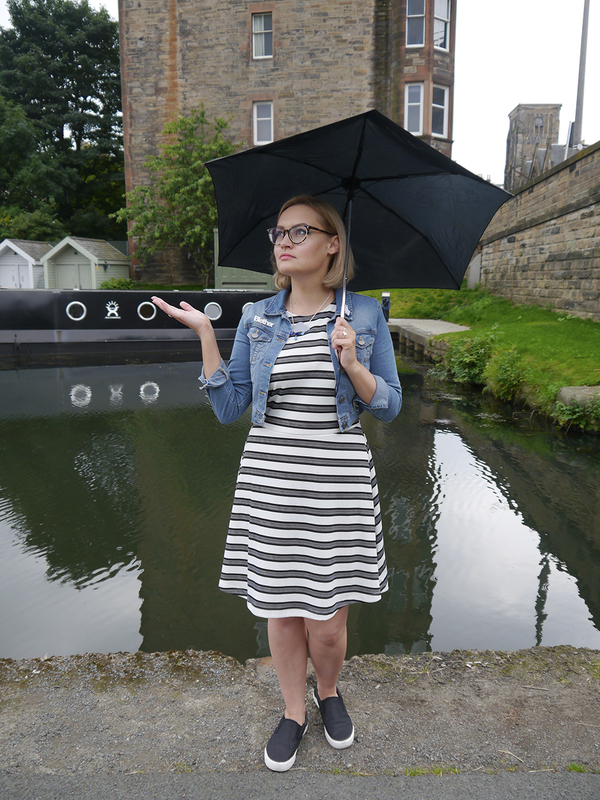 And, of course, we picked the most miserable day in August to photograph a summer tan look. 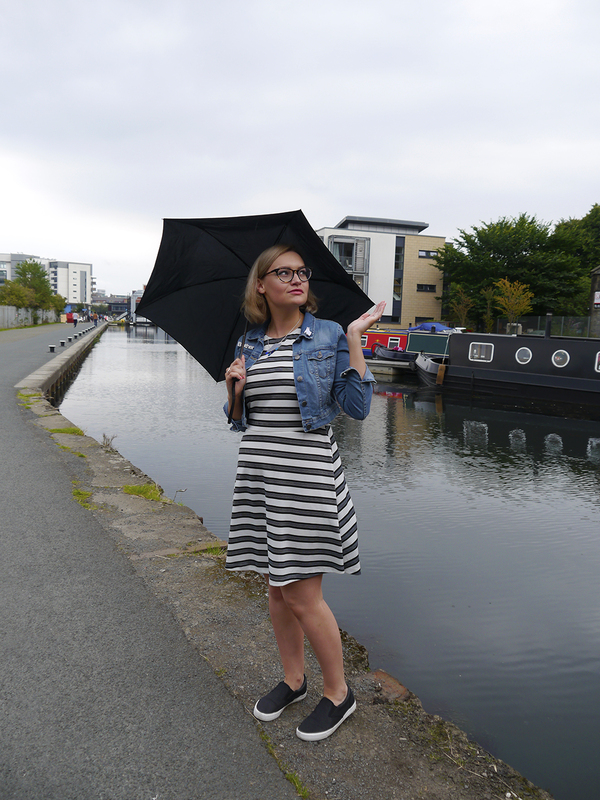 Swapping sunnies for an umbrella 20 times in one day is a sure sign you're in Scotland. 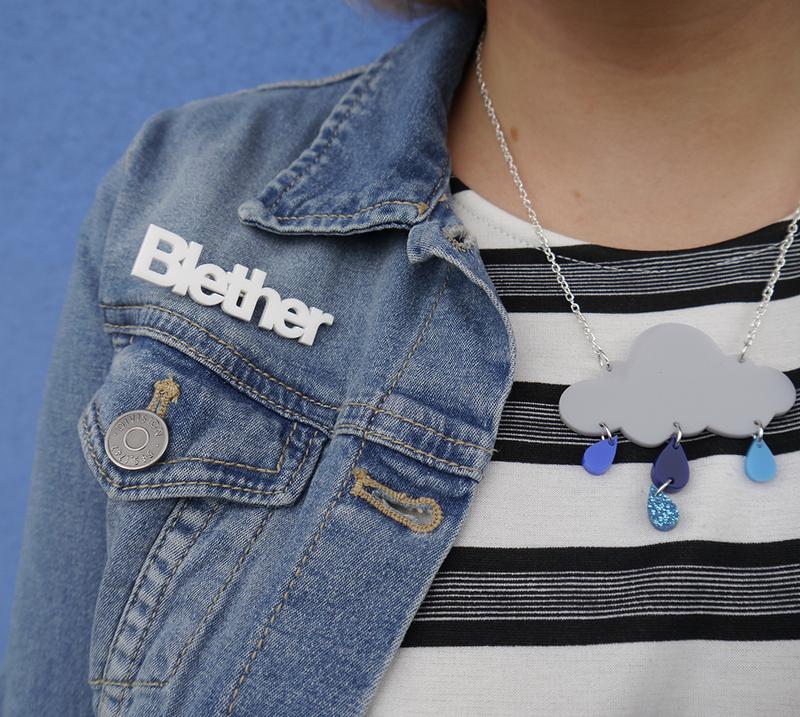 It worked out quite well though, because I could wear my Sugar & Vice rain cloud necklace. 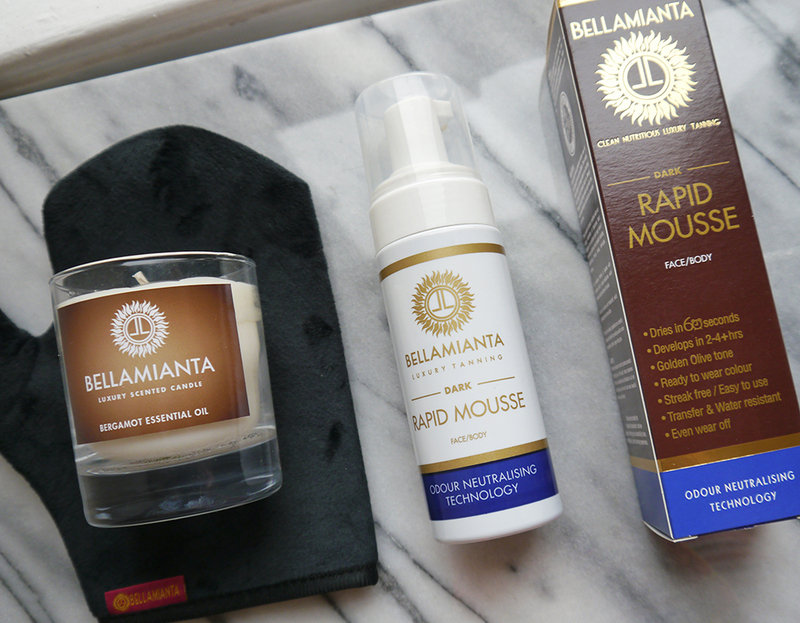 Thanks again to Bellamianta for sending us these products to review. 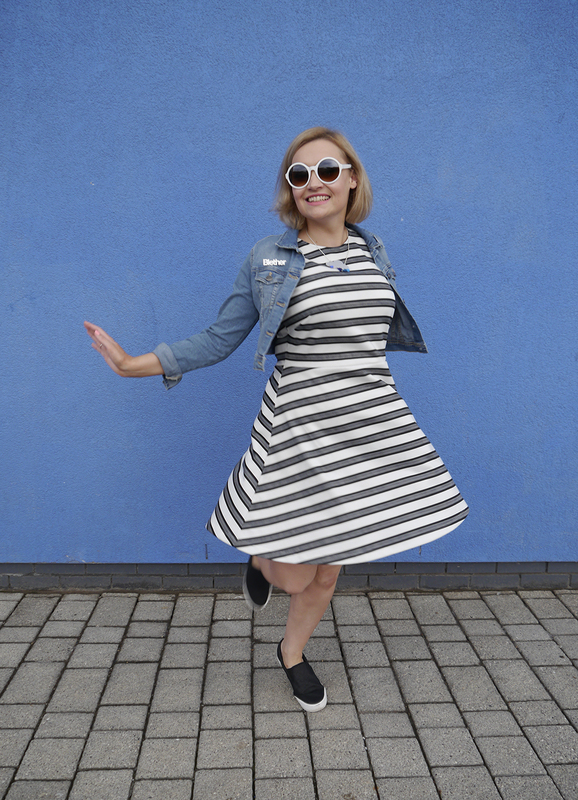 You've won this pasty gal round!